Look Like A Classic Yacht. 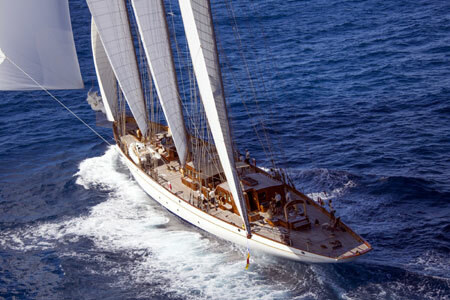 ADIX is undeniably one of the most stunning classic yachts in the world today. 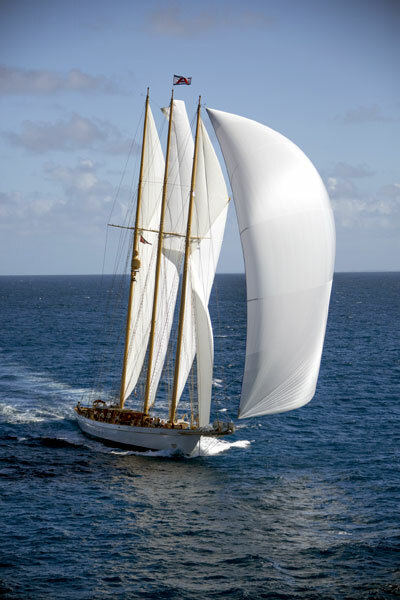 Drawing on our experince with other schooners such as the Shenandoah, Lidgard Sails were privileged enough to be awarded the contract to supply ADIX with a full suit of sails when her new carbon rigs when put in place in 2015. One of the challenges we had was to fit her out with a set of sails that performed like modern race sails but also was becoming of a traditional sailing yacht. This ruled out a number of high performance fabrics because they just wouldn't look the part. After some time spent with fabric suppliers a new fabric was developed specifically for the job, that pushed the technoligical edge. 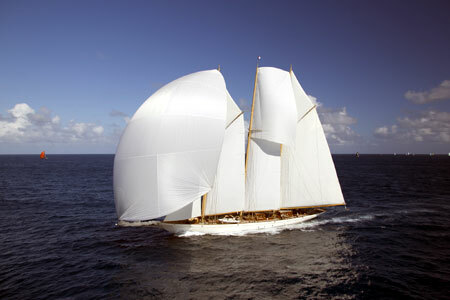 It was a white spectra laminate, tinted cream in colour to match that of a tradtional sailing cloth that would maintain the shape of the sails when under load much more than any traditional woven fabric would. Aside from the fabric the sails where finished in leather handwork, custom engineered clew rings and made in narrow panels. 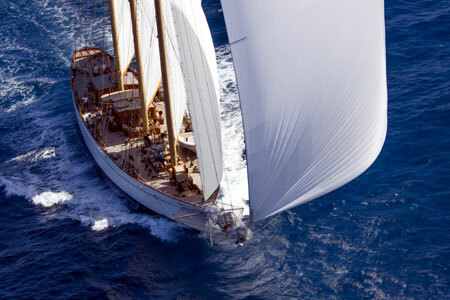 The sails were given the attention to detail any classic yacht lover and pureist of tradition would fully appreciate a yacht like ADIX deserves. Not only did ADIX have to look like a classic yacht it also had to perform like a modern one. 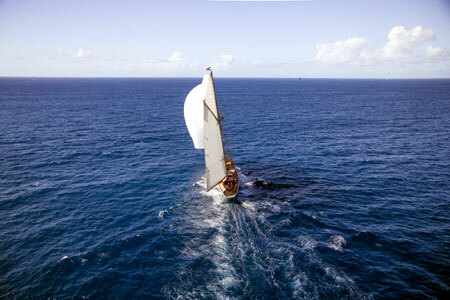 Stability; Previously ADIX's sails had been made from 2-ply dacron as most large classic sails are. This is generally the case because dacron is a polyester and polyester stretches. When a boat that's 370 tonns load up, dacron sails are able to expand and stretch hence avoiding the shockload that would otherwise be placed upon the sails ripping them apart. Spectra is a much more rigid fibre than polyester so that when the sails load up the force generated by the sails is transfered into the boat pushing her forward. Spectra provides a huge reduction in the loss of the momentum that would otherwise be experienced using dacron sails. As with all racing yacht, weight was a concern. When finished the total weight of the sails was 1/3 less that the previous sail even thouh the sail area was bigger by a quarter. Shape; As always shape is all important. It doesn't matter what the a sail is made of, if the shape is wrong then it won't perform. Our lead sail designer and keen yachtsman, Grant Ewing spent a week on ADIX measuring and discussing the fine details of what was required. Grant sat down with the captain and worked through what is was they wanted to achieve and got to know how they drive the boat. Knowing the yacht from top to bottom and knowing the people sailing it, allowed Grant to design sails that have taken ADIX on to win race after race, regatta after regatta. 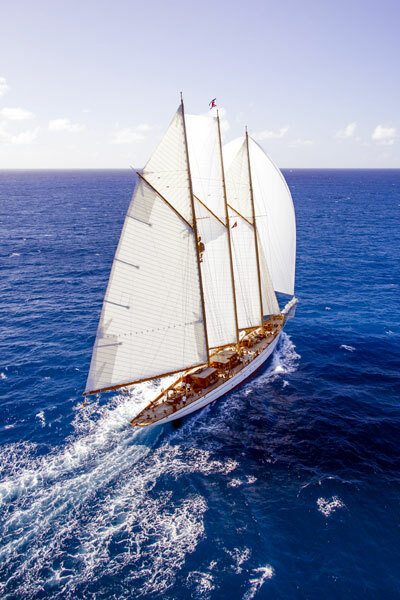 We know how much love, care and attention goes into maintaining a classic sailing yacht, they really are in a class of their own. We provide as much care and attention to the detail of the sails as you would expect a yacht of great tradtion would deserve.